It’s approximately 7:30 AM but you’ve been up since 5:20 AM, the sun is just peeking through the clouds and the parking lights are still on. And yet there’s just something about the butterflies in your stomach and the palpable excitement induced by the thought that in a few minutes you will be driving your car at full tilt and to the best of your ability at Road Atlanta while you, semi-quietly, attend the drivers meeting. This feeling is even better when everyone around you is experiencing the same exact thing. And so the day began on Friday (the 13th) at the 2017 Z Nationals track day. 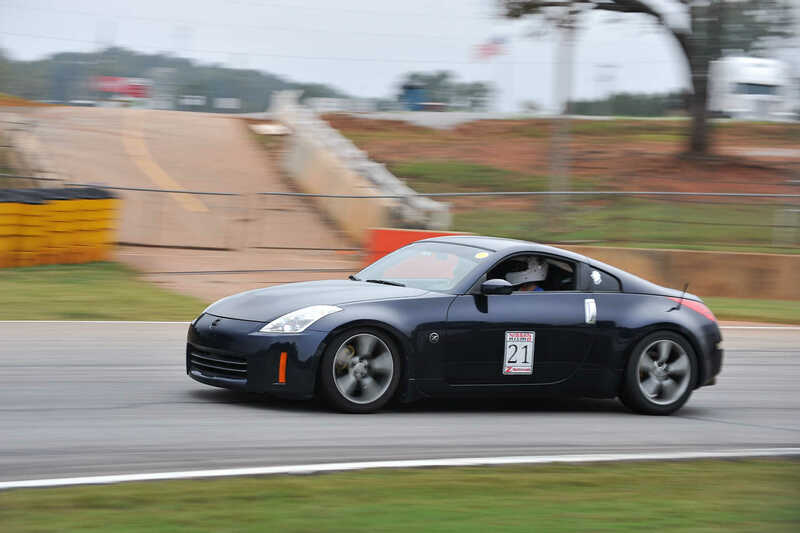 To be honest, this was the first time I had ever driven any track with elevation changes such as Road Atlanta and that by far proved to be the most challenging and downright unnerving part of my experience. Turn 10 and turn 12, boy let me tell ya, nearly lost my cool just about every time I had to drive it. Luckily I had the opportunity to drive with one of the best Z drivers I ever met. Todd Wagner was able to show me where to brake, turn in, and power out in a way that was simple and easy for me to understand. Most of the turns are blind at Road Atlanta and so until I had somewhat memorized the track and the race line it was nice to have Todd with me to make sure I made it back home alive. Between my sessions I got to ride with him in his 04 350z and what a blast that was. 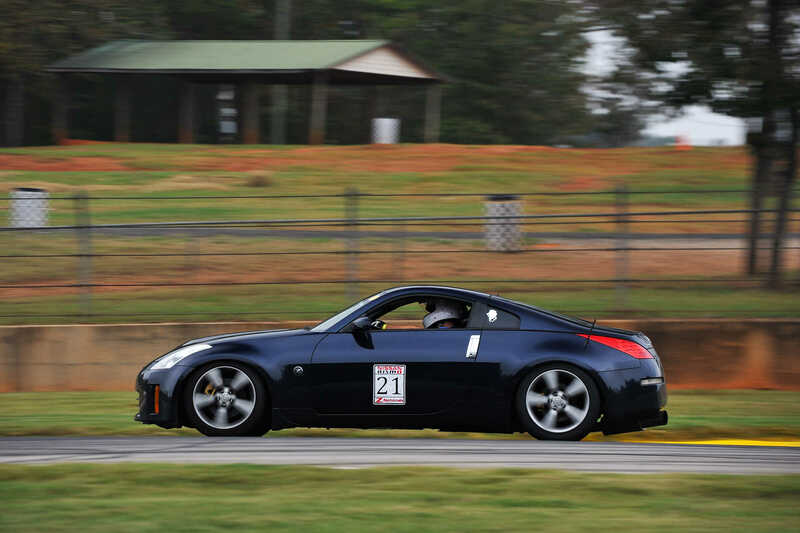 He’s been tracking that Z for years now and knows just how much to push the car, riding with him gave me good insight to what my own Z can handle and so I was able to push harder on my solo runs. Huge shout out to Todd for making sure I made it back home alive. Haha ! After driving the Z over 9 hours from south Florida to Atlanta, then beating it up for more than 120 miles on the track followed by the drive back down south, I’m definitely proud of my 07 350z. We prepped it as much as we could prior to Z Nationals, we ran the tested and proven engine oil, Amsoil 5w30 Signature Series in our VQ35HR and Redline gear oil on the transmission and differential. The power was delivered flawlessly largely thanks to the exceptional work our friends over at PROs Tuning did on the tuning end of things on their dyno. Under the wise council of Russ Rana over at Z1 Motorsports we ran the Carbotech XP10 in the front calipers and the XP8 in the rear for Road Atlanta. This proved to be one of the best mods done prior to this event. Although my rotors warped because of the heat and maybe my inexperience on this track, the pads held up nicely and lap after lap they provided exceptional braking power from speeds over 120 MPH while going downhill (turn 10). All in all the Z performed well but Road Atlanta definitely exposed some of the weaknesses of the chassis and brakes though and this means we will be addressing these points before our next big track event. I will definitely be back for next year. 2018 Z Nationals is supposed to be an even bigger event than it was this year and I can’t wait to see some old friends and make new ones. 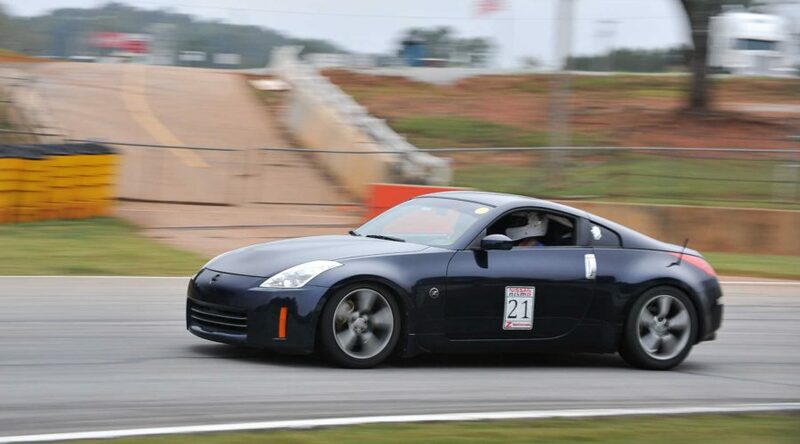 The Z will be even better too with more upgrades and hopefully more track time under my belt. Stay tuned!